(W) Alan Martin (A) Jamie Hewlett & Various. Shove this up your gun-turret! After a 20 year time-out, the phenomenal Jamie Hewlett (GORILLAZ) is leaping back on the Tank Girl wagon, re-teaming with series co-creator Alan Martin to bring you a whole new take on the foul-mouthed, gun toting, swill-swigging hellion! 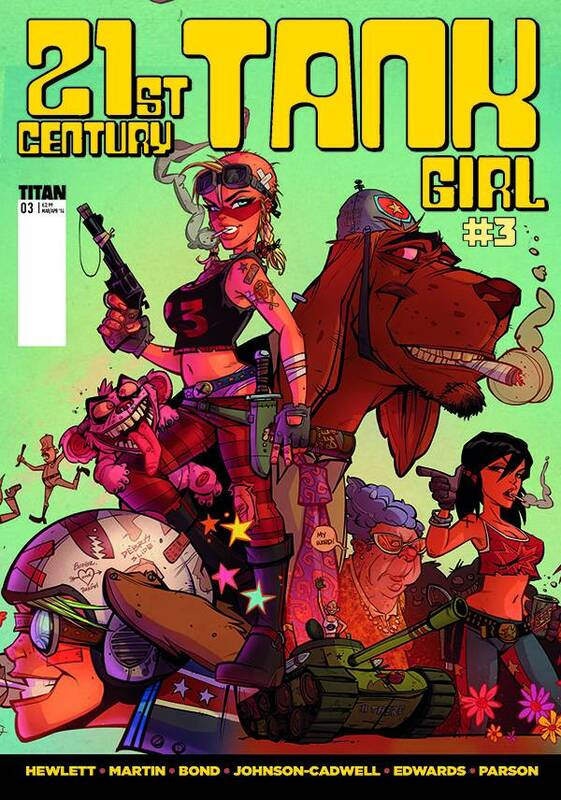 Positively turgid with strips, pin-ups, poems the usual balls-to-the-wall bedlamism, with brand new contributions from Hewlett, Martin and the cream of the Tank Girl art community, get ready to sacrifice your last shred of sanity for the stupendous final issue of 21st Century Tank Girl!.